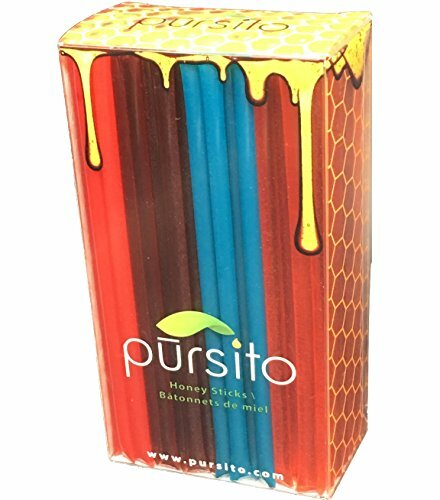 Pursito VERY BERRY HONEY STICKS are as nature intended natural flavored and no additives. These honey sticks are locally produced in the Pacific States of the USA. As an all-natural product, small sugar crystals may form - to return to original state: heat slowly in a warm water bath until they disappear. YOU WILL RECEIVE 100 Pursito Brand Very Berry Easy Open Honeystix in your purchase. SHIPPED in a heavy duty corrugated box to help ensure freshness, quality & a safe delivery. With thousands of happy customers, Pursito is a brand you will love and can trust! We stand by our product with a 30 day money back guarantee. If you have any questions about this product by Pursito, contact us by completing and submitting the form below. If you are looking for a specif part number, please include it with your message.